Valve has announced its biggest update ever to online multiplayer Team Fortress 2, bringing in-game payments for the first time. In the update, players will be able to pay real money for items, following a business model much like Farmville, where you can buy upgrades during the game. 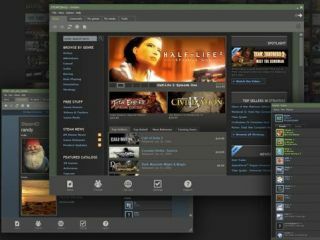 According to PC Gamer who broke the story, in Team Fortress 2 players can buy new community items, and all Valve-made items, by adding real money to their Steam Wallet. Money added to the Steam Wallet can also be spent on anything on Steam. When it comes to adding cash to the wallet, the minimum you can add is $5 / £4 / €5. At the moment you can't buy older community items yet, Valve are going to roll that out gradually once the system is working. In news that will make some fans of the game more than a little annoyed, some items will not be available at unless you spend your cold, hard cash on them. Adding in-game payment to TF2 is a fundamental change to the game, so it will be interesting to see if there is a backlash or not. PC Gamer spoke to Robin Walker from Valve, who said about the news: "We never really think about the money TF2 makes when we're thinking about what to do. "In this case, the thing that we are trying to build is a framework for a more robust collaboration with the community on content creation." The TF2 community will be able to create their own objects (they are calling this the Mann-conomy Update) and sell them within the game. When they are sold, a percentage of the revenues will go to the creator. There was thought that the in-game payment would mean that TF2 would become free to play, but Walker said that: "We've considered it, and it's something we'd love to gather data from, but our main concern is that right now the cost of purchasing TF2 again is the main cost that cheaters pay when we catch them." The update also brings a new dueling mini-game, crates of mystery items to be found and unlocked, and special item sets that give you major bonuses for wearing them all at once. If you want to check out the full list of items for sale, check out PC Gamer where they have made a checklist and tell which ones are worth the money.